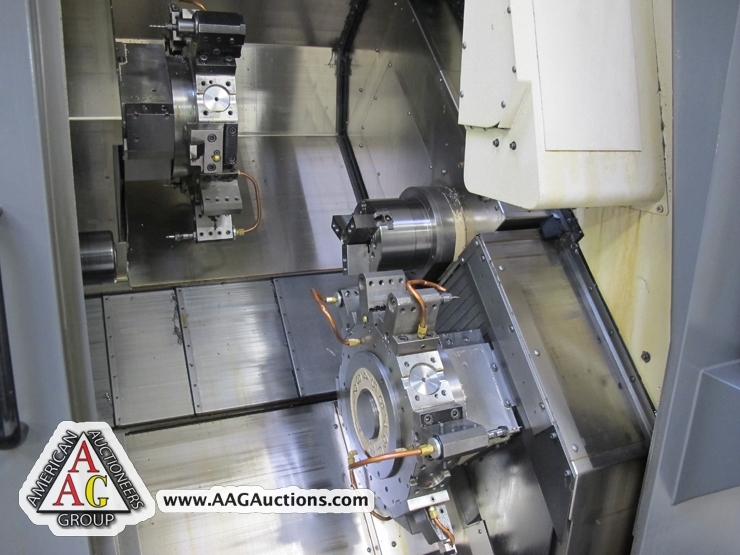 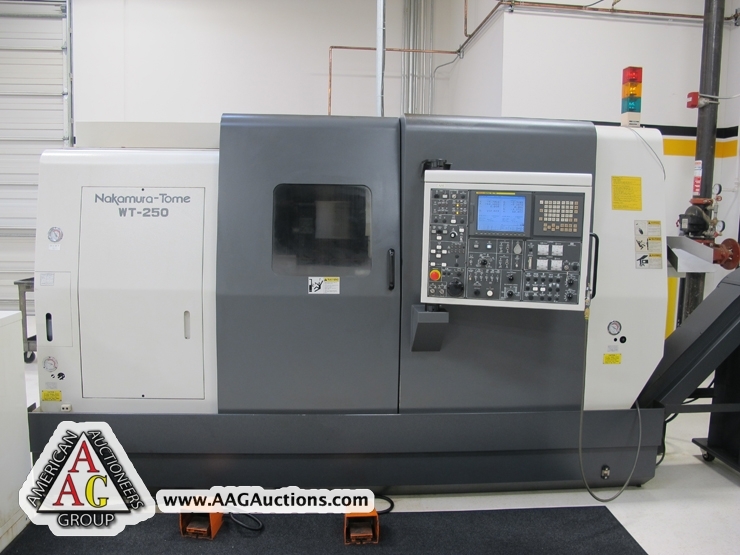 2007 NAKAMURA WT-250 CNC TURNING CENTER WITH MILLING, WITH 8’’ CHUCK, 6’’ SUB CHUCK (RIGHT SPINDLE), 2.5’’ / 2’’ BAR CAPACITY, FANUC 18i – TB CONTROL, CHIP CONVEYOR, HIGH PRESSURE COOLANT FOR BOTH TURRETS, SPINDLE SPEED OVERIDE, TWIN TURRET, 12 POSITION – 2 TURRETS WITH ALL POSITIONS WITH REVOLVING TOOLS, 3446 MAIN SPINDLE HOURS, COLLET NOSE 3J, PARTS CATCHER, S/N M239504. 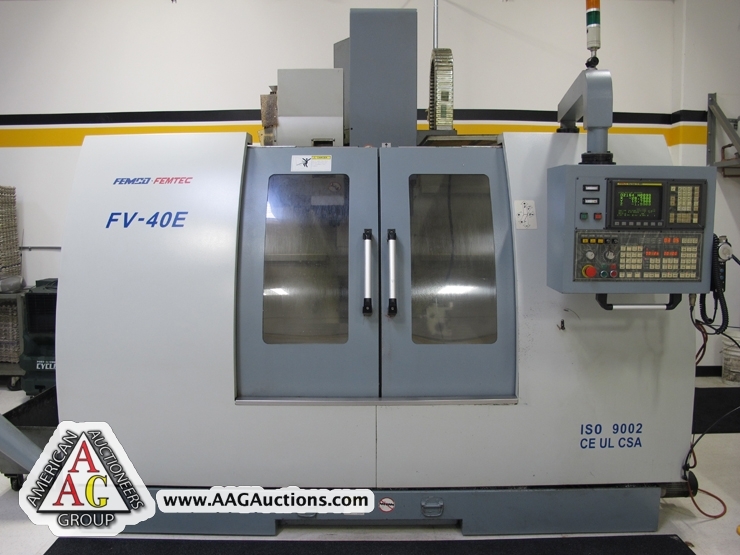 2004 FEMCO FEMTEC FV-40E CNC VMC, WITH FANUC O-MD CONTROL, 3 AXIS, 24 ATC, CT-40 TOOL, COOLING SYSTEM, 24 X 24 X 20 (XYZ), 8000 RPM, 1424 RUN HOURS, S/N 70463. 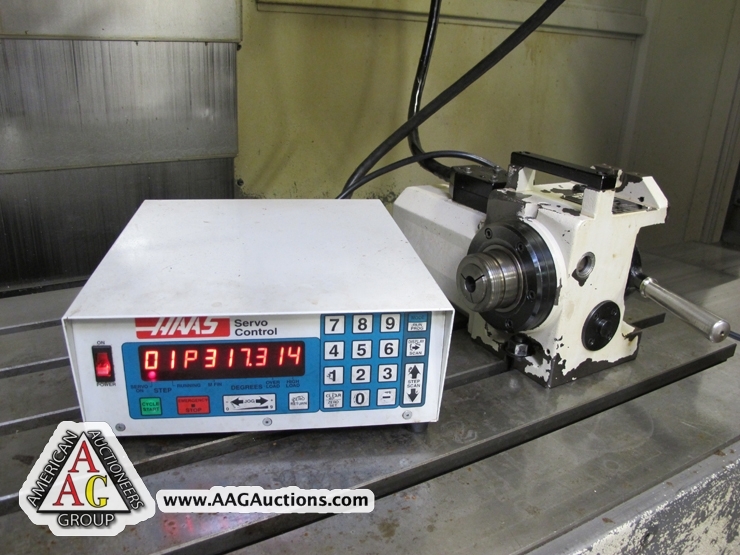 2004 HAAS HA5C ROTARY 5C INDEX WITH SERVO CONTROL, TAIL STOCK. 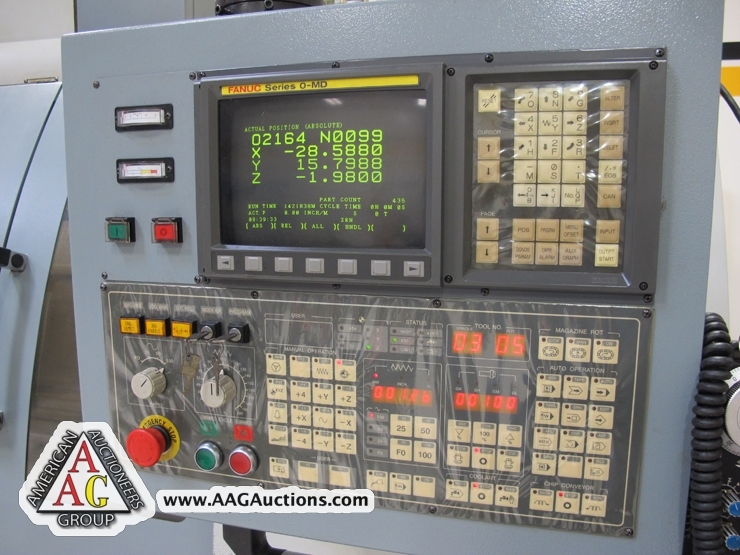 2004 FEMCO HL-25 CNC LATHE WITH FANUC Oi-TB CONTROL, 8’’ CHUCK, 12 POSITION TURRET, 4800 RPM, PARTS CATCHER, CHIP CONVEYOR, TAIL STOCK, 2069 RUN HOURS, S/N L14-4105. 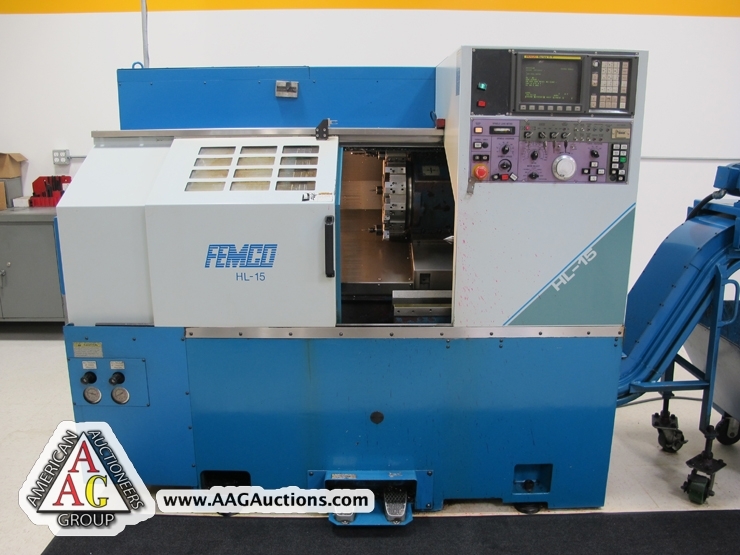 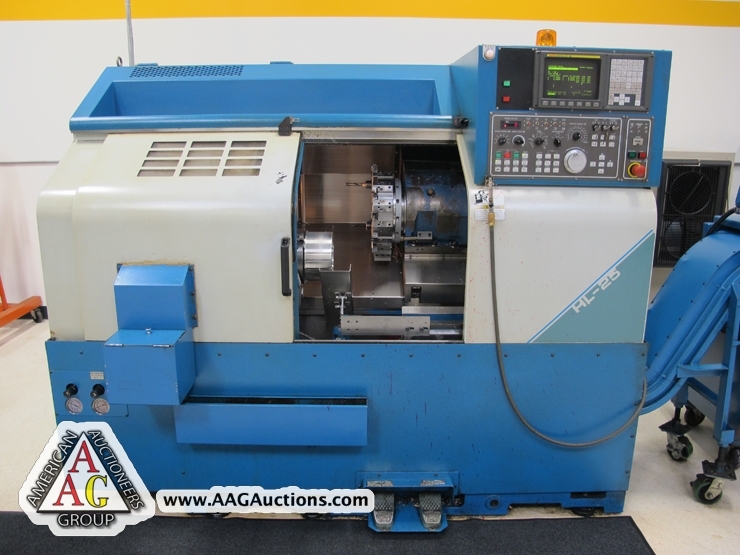 2001 FEMCO HL-15 CNC LATHE, WITH FANUC O – T CONTROL, 8’’ CHUCK, 12 POSITION TURRET, CHIP CONVEYOR, TAIL STOCK, 4800 RPM, 6745 RUN HOURS, S/N LJ1-0536. 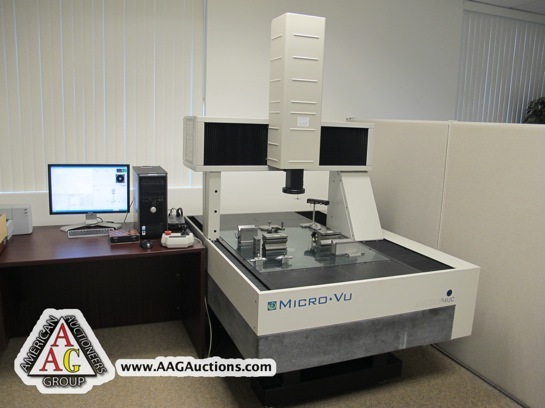 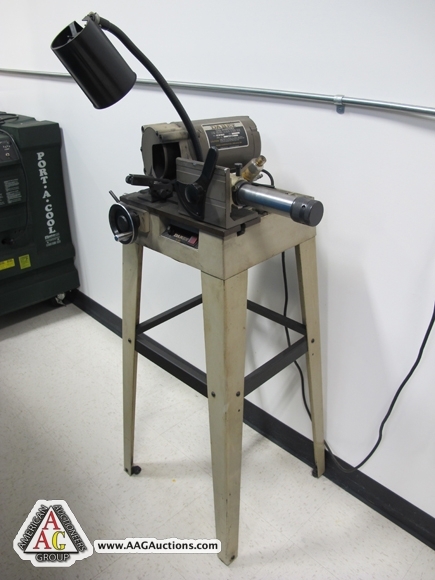 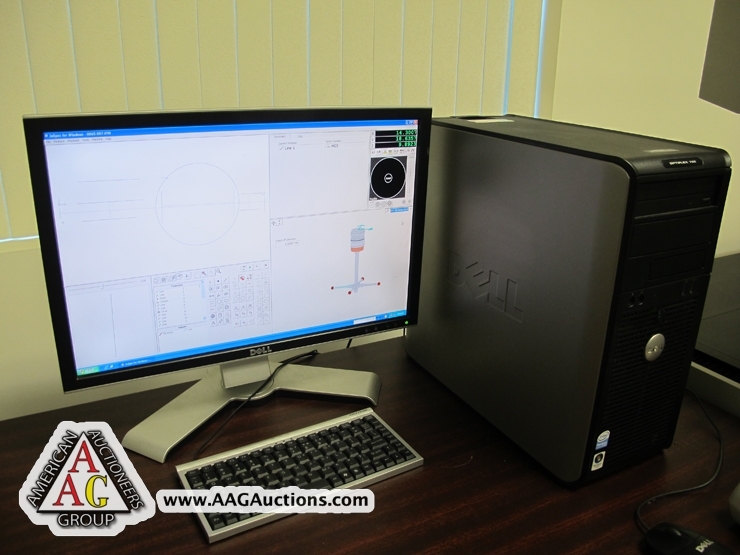 MICRO-VU EXCEL 654UC VIDEO MEASURING SYSTEM (CMM) WITH ATC PROBE, RENISHAW PROBE, 26 X 26 X 16 (XYZ), INSPEC METROLOGY SOFTWARE, S/N EC654UC-01003. 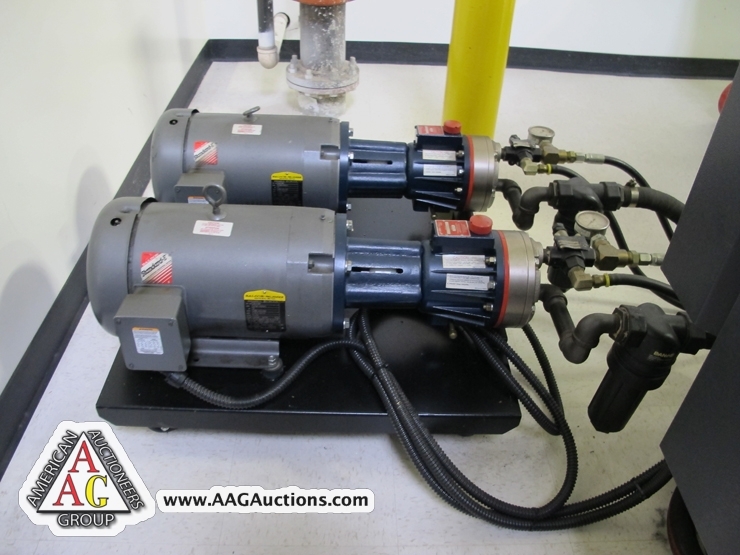 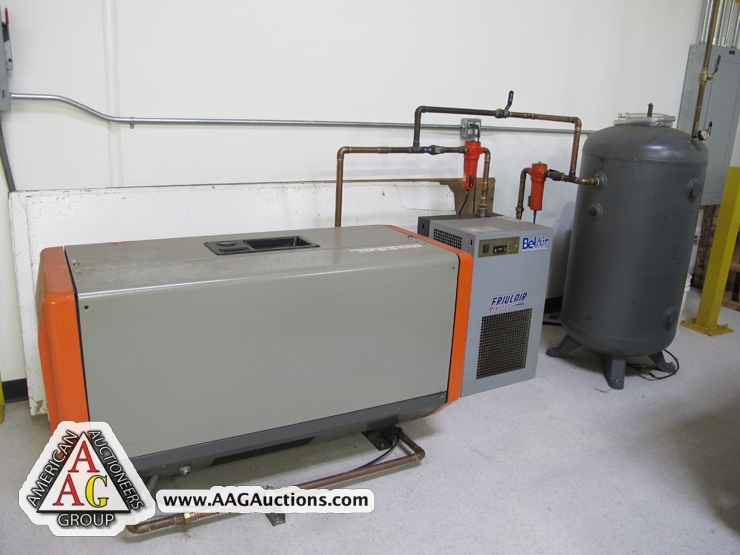 MATTAI 10HP ROTARY AIR COMPRESSOR WITH BEL AIR DRYER AND HANK. 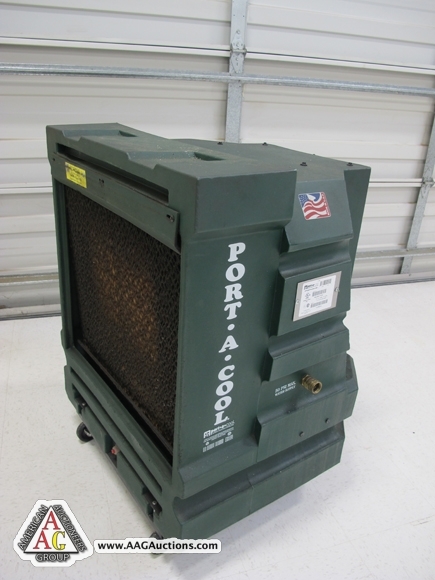 3) PORT A COOL 3000 CYCLONE UNITS. 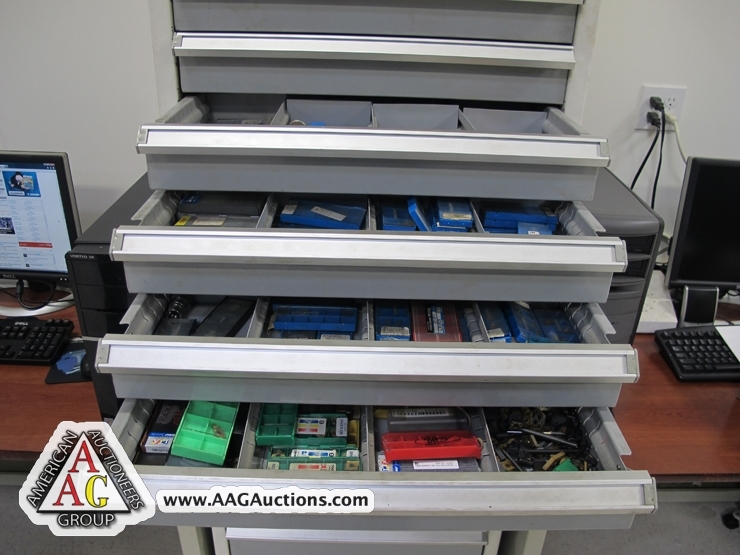 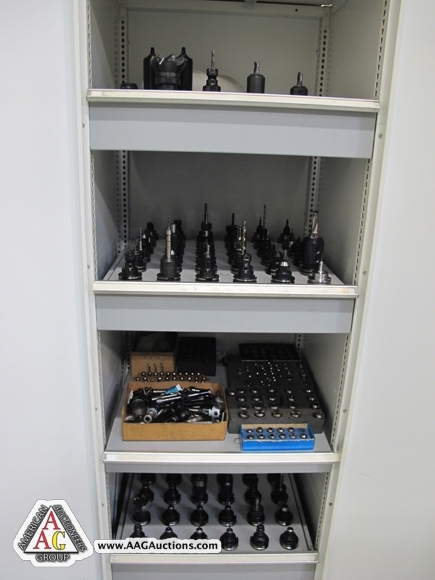 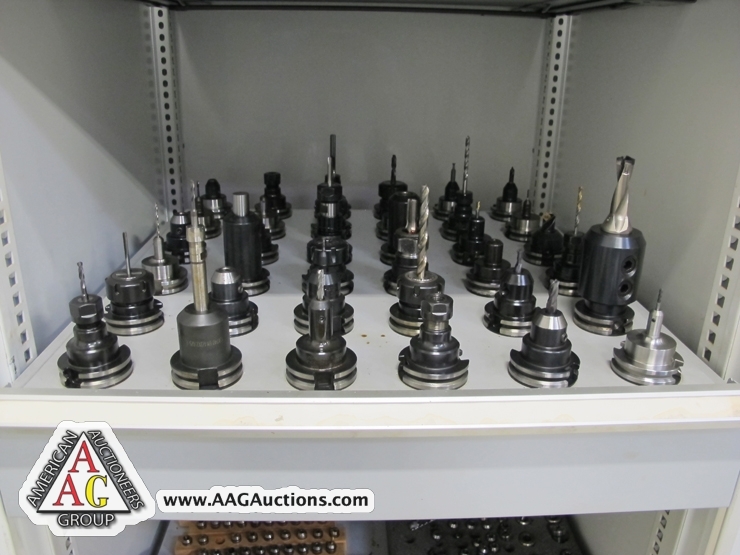 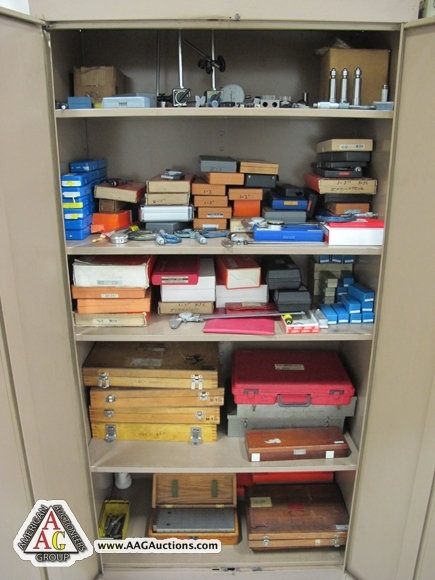 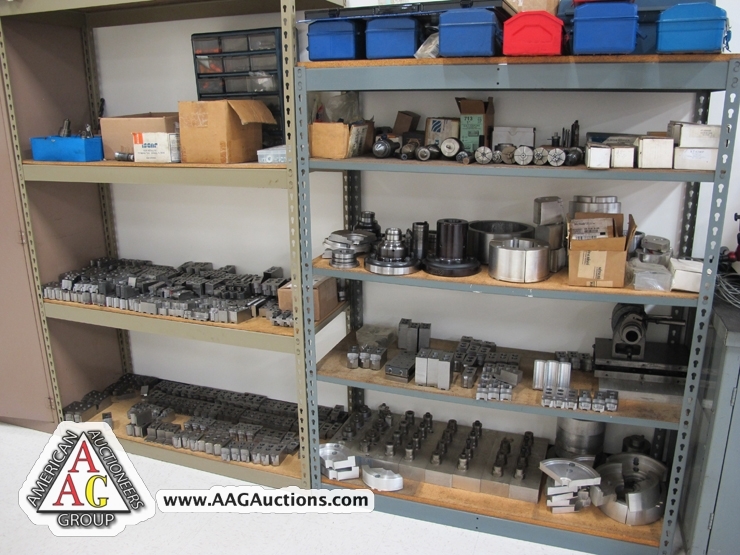 OVER 80 CT-40 TOOL HOLDERS, SPRING COLLETS, TOOLING, AND ETC. 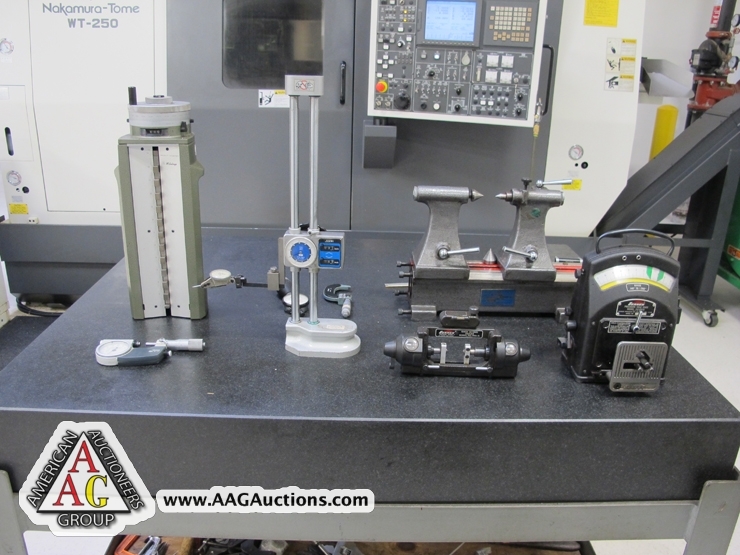 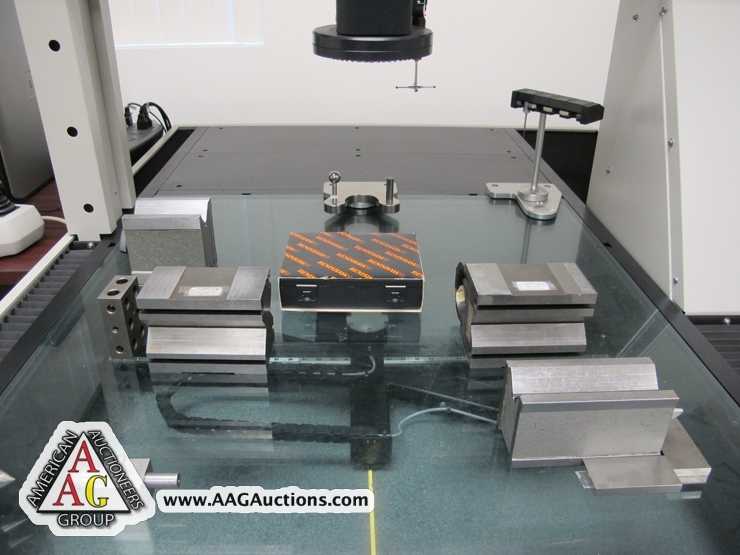 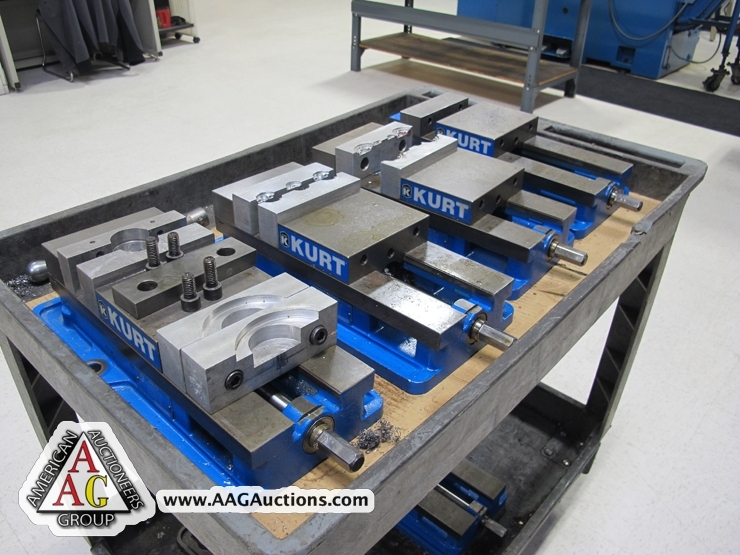 STANDRIGE GRANITE PLATE, MITUTOYO HEIGHT GAGE, MICS, CALIPERS, BORING GAGES, JOE BLOCK SETS, TOOLING AND ETC. 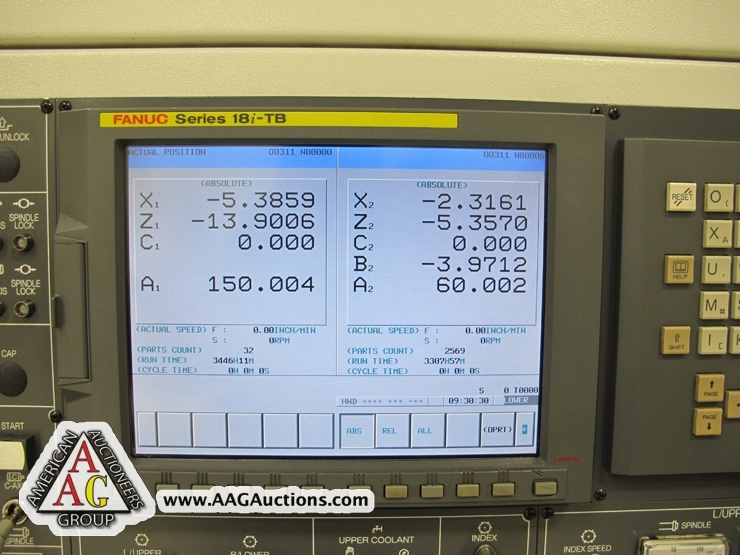 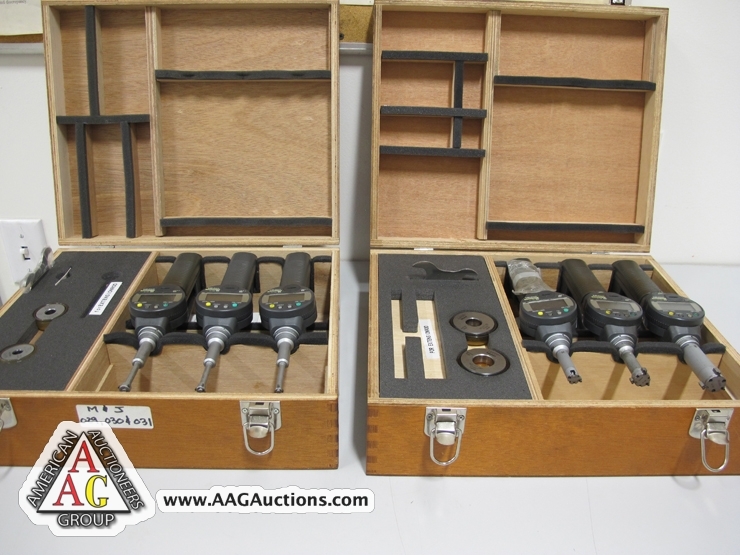 2) MITUTOYO SERIES 568 DIGITAL BORE GAGE SETS, INCH AND METRIC. 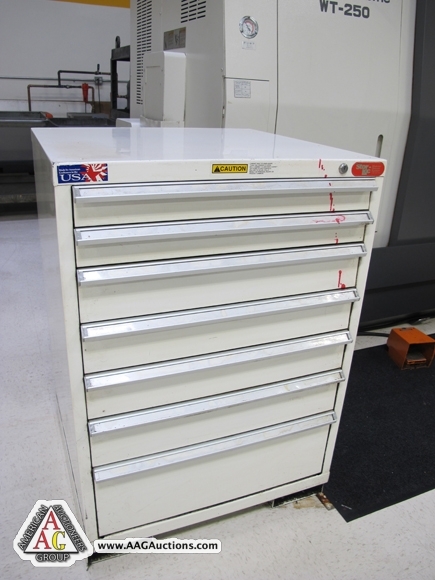 STOR LOC 14 DRAWER TOOL CABINET. 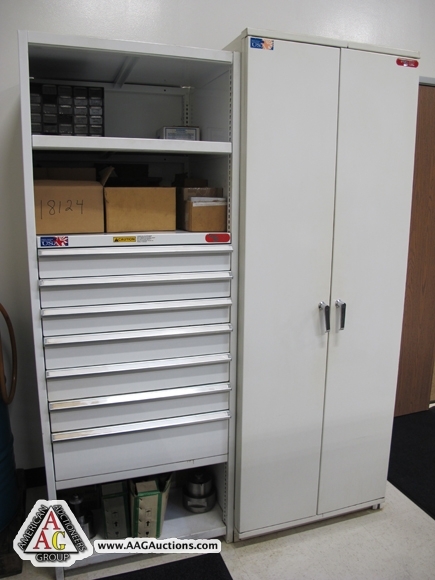 STOR LOC 8 DRAWER TOOL CABINET. 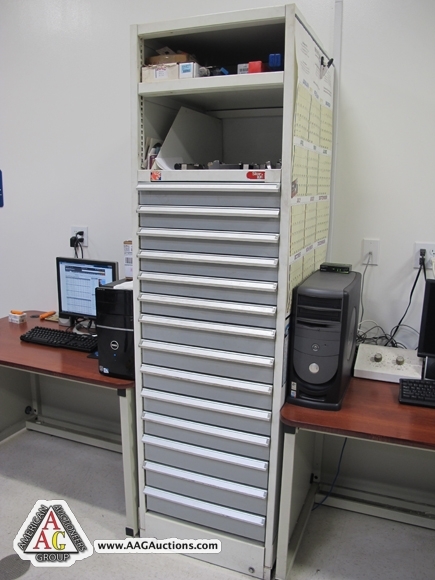 STOR LOC TOOL CABINET WITH DRAWERS.